Many claims have been made in the backlink indexing space, and services continue to be launched and improved. Being exposed to these services through my current SEO efforts with GSA, I felt it was important to identify the most cost effective approach to indexing backlinks. In researching this topic, I was surprised to find very limited research covering this important topic. After all, it is assumed that every serious SEO is using some form of these services. There was one commonly seen study done in 2011, but the sample size was extremely small (just 500 links) and the results were quickly identified as suspect in the forums. Disclaimer: This test was conducted independently with no financial support or free accounts given. Any facts associated with the services were obtained either through contacting support or reading materials on the respective sites. As with all SEO services, use at your own risk. Share this post with the social links at the bottom to download the full case study. 10,000 verified links produced by a standard GSA job containing all link types. These links were produced a maximum of 24 hours before submission to the service for this test. Indexing was checked using the index checker in Scrapebox. Hundreds of US-based fully private proxies were used on a lengthy delay, and the tests were rerun as many times as necessary to check all the links. Initially I tried using the GScraper index checker with their proxy subscription and got extremely unreliable results. Not only were their proxies public and thus highly burned out, but they often wouldn’t be US proxies and so would get inconsistent results between checks. I have to say it’s unfortunate that Google has tightened down on the use of index checking – this was a real pain. Indexing service that aims to index by building up backlinks to your backlinks (roughly 15 links per link). Pro: Builds a lot of links to your links. Will automatically resubmit your links if you aren’t using your quota. Con: Doesn’t ping all links or track crawls. 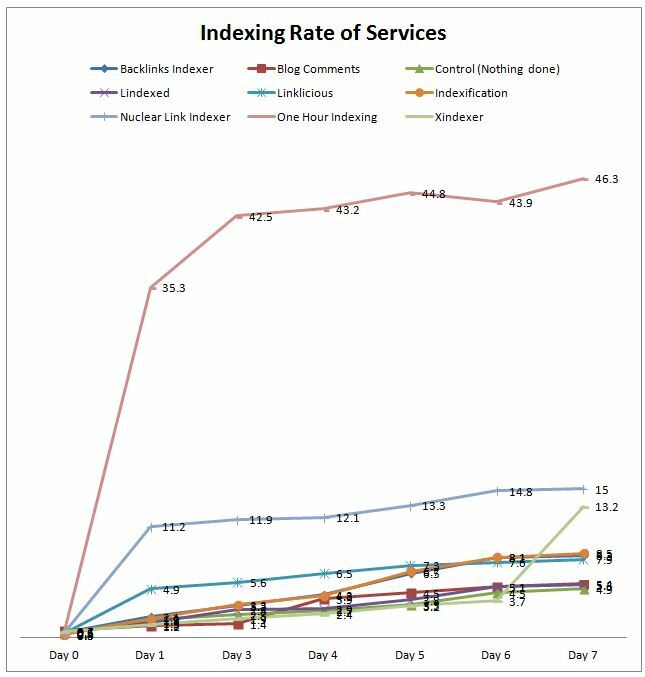 After two weeks, indexing rate of the control group was within 20% of links that had blog comments built to them. This indicates that there is extremely limited benefit to building blog comment backlinks to backlinks. Service that creates pages, sitemaps, and rss feeds that contain your link and pings them from multiple locations. Pro: Very robust pinging service. Pings from multiple locations and times, plus creates some content pages. Cons: Doesn’t track crawls to verify links have been found. Uses RSS feeds which some have linked to ranking penalties. Pings links on a schedule. Tracks crawls and re-pings as needed. Pro: Guarantees Google finds links. Good coupons for link building services. Cons: Doesn’t build content pages like most other services. Creates rss feeds and pings each link several times. Creates site maps and content pages. Pro: Cheapest pinging and crawling service. Builds some pages for the links too. Con: Uses RSS feeds which some have linked to ranking penalties. Creates links using stat and whois site lists using your links. Just post into their web form. Con: Doesn’t actually do anything with the links it creates, so Google will never find them. Completely useless. Creates RSS feeds of your links and then builds backlinks to assist in indexing. Pro: Simple to use interface, builds links to your links. Cons: Very unreliable service with outages/crashes and support issues. Stops if hits 50% indexing. Web-based tool to ping your links. Creates links using stat and whois site lists using your links. Submits links to PR blog network for a month. Pro: Validates links and indexing before submission and during processing. Cons: Builds links to links once a week for 4 weeks (so very slow). Most expensive by far. The data used in the chart above is included for further analysis. This data includes the three services that do not work. – One Hour Indexing is the clear winner in both indexing rate and cost. They won’t disclose their methods, but clearly it’s something different than the other guys. – The requirements for indexing have changed over the past couple of years. It is now much harder to get links indexed. – The techniques used by the services don’t seem to have a strong impact on indexing. I expected services like Indexification and Lindexed to blow away the others since they have a hybrid method, but that didn’t happen. – A few services people recommend – Ping Farm, Index Kings, Scrapebox Rapid Indexer – literally do nothing since it just accesses a dynamic page (that Google never sees). Think about this when you read forum posts where people say it’s working great for them. – Notice the control group as well as the three services that don’t work to see variance in the numbers. The natural indexing rate isn’t a fixed number, but has some amount of variance. – Cost isn’t the primary deciding factor of which service is best. Instead, match the amount of links you build with the appropriate service(s). Share this post to download the FULL case study. Thanks Justin for a nice post. Thanks for detailed instruction. 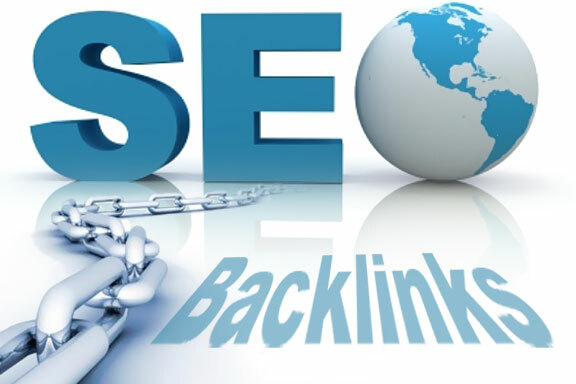 Is dofollow or nofollow backlinks can help to index particular keyword in search engines? As a rule, DoFollow are better than nofollow. However, you can get benefit from all types of links. I generally don’t even look at that because it’s not a cost-effective way of link building. Just build them, submit to an indexing service (like OneHourIndexing!) and move on.